Welcome to Day 985 of our Wisdom-Trek, and thank you for joining me. Thank you for joining us for our five days per week wisdom and legacy building podcast. 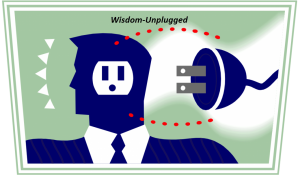 This is Day 985 of our trek, and it is time for a 3-minute mini-trek called Wisdom Unplugged. Thank you for joining me on this trek called life. This short nugget of wisdom includes an inspirational quote with a little bit of additional content for today’s trek. Consider this your vitamin supplement of wisdom for today. So let’s jump right in with today’s nugget. 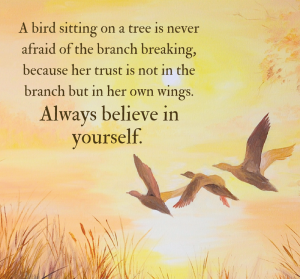 If you don’t or can’t believe in yourself, how can you ever expect others to believe in you? No person is self-made, and in order to be a success, you need the support and resources of others. Since that is the case, others will find it very difficult to support you and provide you with the resources needed to be successful unless you first believe that you can and will succeed. 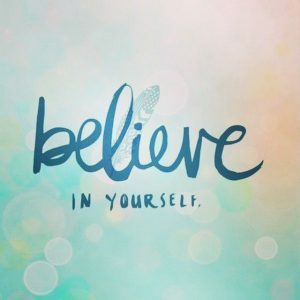 Belief in yourself is the very foundation stones of success in any area of life. 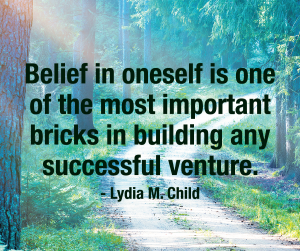 If you do not believe in yourself, then any success that may be achieved will soon crumble because the very bedrock, those foundation stones, will crumble and your success will come crashing down. In the same manner, if you do not love and believe in yourself, it is impossible to love and believe in anyone else. Our love and belief for others will only be as strong as the love and belief we have in ourselves and in our God-given abilities. God created you to be a bearer of His image and God is successful and true in all that He does. Should we expect anything less for His precious children who are designed to be a bearer of His image? I think not. 2 Peter 1:3 – By his divine power, God has given us everything we need for living a godly life. We have received all of this by coming to know him, the one who called us to himself by means of his marvelous glory and excellence. That’s a wrap for today’s Wisdom Unplugged quote. 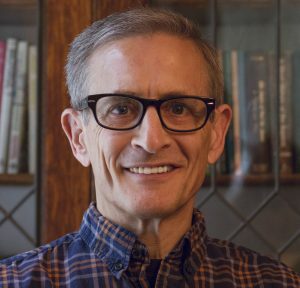 If you would like free access to my database of over 10,000 inspirational quotes the link is available on the main page of Wisdom-Trek.com. Just as you enjoy these nuggets of wisdom, encourage your friends and family to join us and then come along tomorrow for another day of Wisdom-Trek, Creating a Legacy. 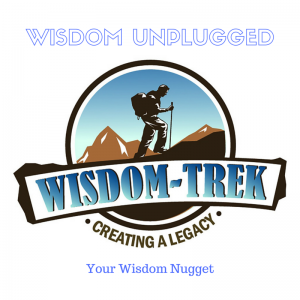 If you would like to listen to any of our past 984 treks or read the Wisdom Journal, they are available at Wisdom-Trek.com. I encourage you to subscribe to Apple Podcast or Google Play so that each day’s trek will be downloaded automatically.